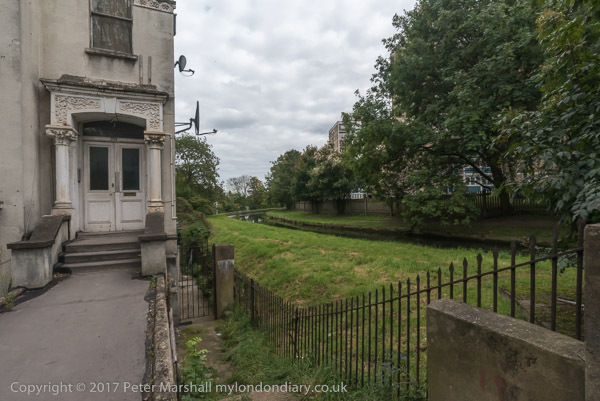 I walked past the New River on what seemed a long march on Saturday, against the London Borough of Haringey’s intention to give away a couple of billion pounds of public property to a rather doubtful Australian property developer. It’s a course of action that should be criminal, but unfortunately our laws are seldom written to protect the rights of ordinary people, many of whom will lose their homes as a result. Haringey’s plan, being pushed through by a small group of Labour councillors and officials is unusual only in its scale; one poster being carried on the march listed over a hundred council estates in London that Labour councils either have or intend to hand over to private developers (who now include housing associations) with an almost complete loss of truly affordable social housing, a process they call ‘regeneration’ but which is more accurately described as social cleansing. It’s really long past time the Labour party put it’s house and its housing policies in order. Of course local government in the UK has always been rife with corruption, a curious mixture of public service and private gain, with the private interests of councillors and their relatives often profiting from public decisions. It was doubtless so in the Victorian era, though at least then it was tempered by a great deal of municipal pride which provided some fine public buildings – and more recently at least in some areas by the building of flagship council estates, like the Heygate in Southwark and Central Hill in Lambeth which I’ve written about here in the past. And back then there was perhaps some satisfaction for those people thrown out of their homes with nowhere to go in the feeling that those responsible might eventually get their just reward in the fires of Hell, whereas nowadays they are more likely to end up on hefty expenses in the House of Lords. But more of that in a later post, after I’ve put the picture from the march onto My London Diary, currently stuck somewhere in early August. But walking along the street I suddenly remembered I’d been here before. Back in 2002, I was busy with my Hasselblad X-Pan in and around FInsbury Park, having recently acquired the 30mm lens which changed it from a panoramic format camera into a true panoramic camera. There seemed to me to be little point in using the camera with the standard lens, although the larger negative (24mm high and 65 mm wide) did produce medium format quality on 35mm film. The 30mm f5.6 gives a horizontal angle of view of 94 degrees, about the maximum that makes sense with a rectilinear perspective, with any larger angle of view the elongation of subjects at the image edges becomes unbearable. If you are wondering, the 45mm is roughly equivalent ot a 25mm lens on a 35mm full-frame camera, while the 30mm equates to 16.7mm. And while I’ve used wider full-frame lenses, including the remarkable Sigma 12-24mm zoom, anything less than 16mm is almost always better done with a fisheye. Most of the 36 images on the Finsbury Park mini-site were taken using the 30mm lens, which came with its own viewfinder, and a filter to even out exposure across the frame. Although the centre of the film when focused at infinity (as all these pictures probably were) was only 30mm from the film, the extreme edges are almost 44mm away, and receive slightly over a stop less light, though lens design probably makes the difference even greater. With colour negative film the centre spot filter was essential, though you could use the camera for black and white without and compensate in the darkroom. One of the images from this set, of the New River, won a small competition and now hangs on my bedroom wall, though it wasn’t my personal favourite of the set. On Saturday I didn’t quite make the march as far as Finsbury Park. Photographing a march is considerably more physically tiring than simply walking, involving a lot of hurrying to and fro, a little climbing on walls and too much walking backwards, and I also find it mentally tiring, and buy the time we reached Manor Park I needed to rest. More panoramas from Finsbury Park though the print prices are rather out of date. This entry was posted on Monday, September 25th, 2017 at 09:36 am and is filed under My Own Work, Photo Issues, Political Issues. You can follow any responses to this entry through the RSS 2.0 feed. You can leave a response, or trackback from your own site.